This weekend marks the 29th straight year that Onalaska High School hosts a musical marathon guaranteed to gladden the hearts of those who love music, motion and great singing. 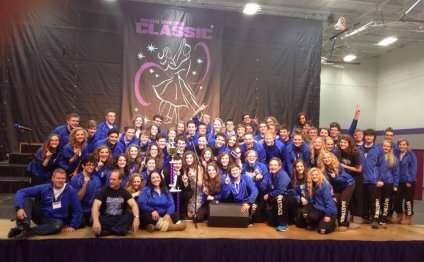 It’s the Onalaska Show Choir Classic — a two-day affair that draws show choirs and concert choirs from four states. The competition should be intense — these are some of the best of the best as far as high school and middle school singers and dancers are concerned. Although there will be exceptional choirs from Iowa, Minnesota and Illinois, the Coulee Region doesn’t take a back seat to anyone. Larson added that, in general, show choirs throughout the Upper Midwest are very good. “This competition is definitely a bloodbath, ” Moses said. Show choirs from La Crosse Central, La Crosse Logan and Holmen also traditionally put together great shows, Moses said. The Classic will begin on Friday after school with a concert choir competition at First Lutheran Church — a site renowned for it’s great acoustics. That competition will begin at 4 p.m. and end with a performance by the OHS concert choir at 9 p.m. Meanwhile, over at the OHS Fieldhouse, a middle school choir competition begins at 5:15 p.m. It will end after the Onalaska Middle School show choir performs at 8 p.m. and OHS’s prep group, OHS Express, performs at 8:20. Saturday is the big day for the high school show choirs. Music begins at 9 a.m. and except for four short breaks won’t end until Onalaska’s Hilltoppers show choir performs just prior to the awards ceremony at 10:25 p.m.
Activity Saturday will be pretty much nonstop, with the choirs getting 25 minutes to get on stage, get set up, perform and get off stage. A typical set has five songs. Both Holmen and Onalaska will have two show choirs performing in Saturday’s high school division. Holmen has a 25-member all-girl group (Midwest Magic) and a 50-member mixed group (Midwest Express). Despite the time commitment of being on the football team Holmen senior Jesse Erdman, has been a member of Midwest Express all four years. “There were conflicts but I worked around them, ” Erdman said.